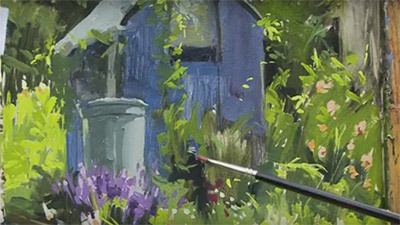 Painting with Oils is a video by Tom Coates and the second in a trilogy of films produced by APV Films featuring the artist. 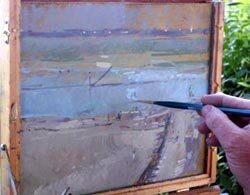 In this video, Tom visits the Somme Estuary to demonstrate how he goes about making quick oil sketches as reference material for finished paintings to be created back in his studio. But those who know Tom's work will be aware that these quick sketches are delightful impressionistic pictures in their own right, and whatever your own level of expertise there is much to be learned from watching him work and listening to his laid-back commentary on his objectives and thinking. 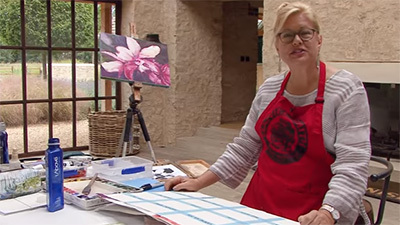 In the video he explains equipment that is important for his on-the-spot painting, which includes a pochade and a small easel together with a large number of various sized, but small, pre-prepared boards. He unconsciously demonstrates his knack of being able to make fine compositions from scenes that initially appear to offer little inspiration and fills them at speed with figures, animals and detail that bring his paintings to life. He produces paintings that include a promenade, views across mud flats, a pier, beach scenes, sea cliffs, a complex composition including people and buildings from a high viewpoint and one of an old roundabout. It is interesting to watch how Tom paints, from the first moment he touches the board with no preliminary drawing whatsoever, pushing the paint around to create the form and shapes he is after. He positions figures with simple suggestions. 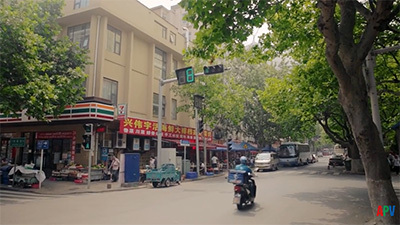 He explains he is trying to capture as much information as possible in the shortest time, looking for colour and feel with the emphasis always on simplicity. The video ends with a short period in his studio where be is working up some of the sketches onto larger canvases. This is a good, informative video for all oil painters, whatever their level of ability. So, too, it is always entertaining and instructive to watch Tom Coates at work. 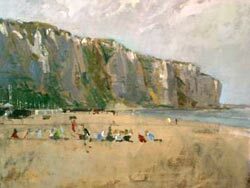 Painting with Oils is the second in a planned trilogy of films with Tom and in it he paints at two locations on the coast of northern France - St Valery and Le Treport. His aim on such trips, he explains, is to explore the area and gather as much information as possible in the short time available. He likes to make small, loose studies, normally on toned board, using these as the reference material for larger, more resolved works in the studio later on. Tom's method of working is fascinating to watch. "Go for the shapes" is his advice, and interestingly he uses soft brushes for much of the painting. "You can flick about with these," he says. "The colour won't lift and it's easier to work paint into the surface of the board or canvas." 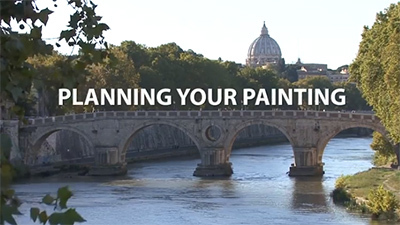 There is a wealth of tips and advice and plenty to inspire the reluctant plein-air oil painter. 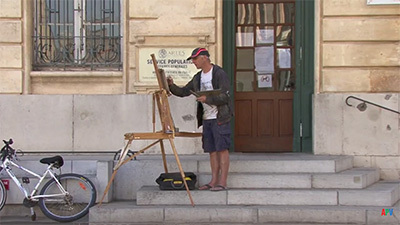 Finally, I would also recommend Painting with Oils, a very instructive and entertaining film with Tom Coates. 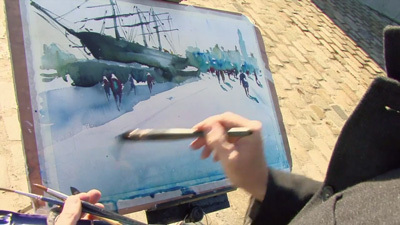 Tom is always good value and in this film there is much to inspire, as well as a wealth of tips and advice, especially for those artists who enjoy plein air work. When on location - here at St Valery and Le Treport on the northwest coast of France - his aim, he says, "is to explore the area and gather as much information as possible in the short time available. It is fascinating to see how he makes various small, loose studies on site, usually on toned board, and how these are subsequently used as the reference material for larger, more resolved works in the studio. 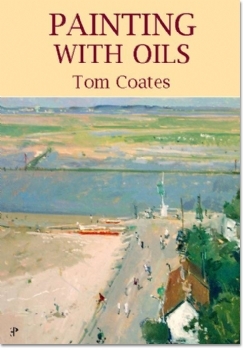 Finally, I would also recommend Painting with Oils, a very instructive and entertaining film with Tom Coates. 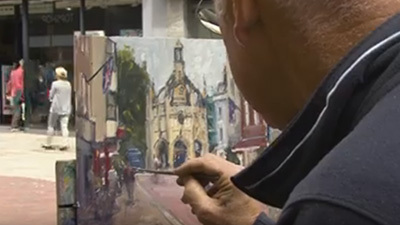 Tom is always good value and in this film there is much to inspire, as well as a wealth of tips and advice, especially for those artists who enjoy plein air work. When on location - here at St Valery and Le Treport on the northwest coast of France - his aim, he says, "is to explore the area and gather as much information as possible in the short time available. It is fascinating to see how he makes various small, loose studies on site, usually on toned board, and how these are subsequently used as the reference material for larger, more resolved works in the studio. I absolutely love this video ! Watching each painting come together is mesmerizing and shows the amazing talent of Tom Coates. Can we please have more oil painting DVDs? I just love the way Tom paints. So free and tonal. Always giving a great impression of what's there with the most sensitivity of brushstrokes and colorchoice.